I posted a mini-version of a Bargello I am making about a month ago. It is slow going, but I finally see that I am going to get where I am going. The first picture is of the mini picture I posted. The second is where I am now. The pattern is X Factor Bargello. I am holding the thought that I have not bitten off more than I can chew. 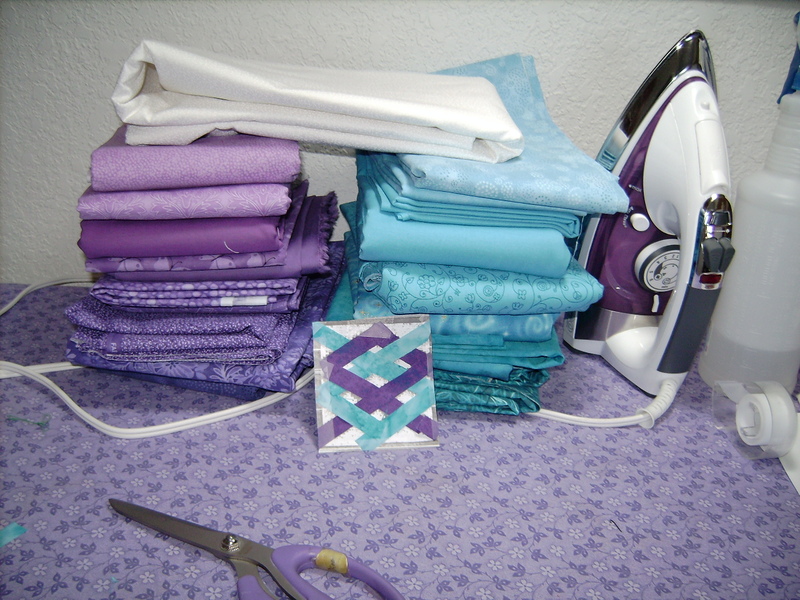 It will be a queen size quilt, which will be even more challenging when I start to quilt it on my domestic machine. But I think I am really going to like it. Cross your fingers for me, that I am up for this challenge. 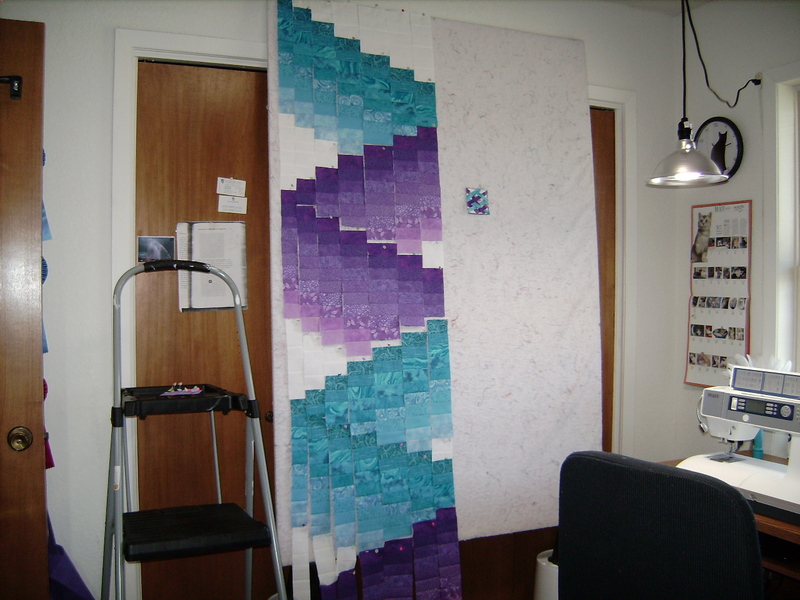 Congrats on the courage to make a Bargello quilt. Your fabrics are gorgeous! It's beautiful so far...You can do it! Oh that is going to be just great. Love your colors!! Beautiful colors. The whole thing is coming along great. Looks like you've already tackled the big part....planning. Can't wait to see it finished. Love what you've made so far. Can't wait to see it finished! Beautiful selection of fabrics...keep us posted. It’s looking great so far. It is beautiful. Keep after it and eventually it will be on the bed. So very pretty. Great work and such lovely colors (of course I would say that because they are definitely my favorites). Keep going and keep the picture progress coming. How beautiful!!!!!!! You're doing a wonderful job. That is going to be awesome when completed. Good job. Your quilt is going to be beautiful! I can’t wait to see it finished. Better you than me I'm watching yours vicariously - you're doing a wonderful job. Love the little planning square. It will be absolutely beautiful! Awesome! Keep going, you can do it! That is going to be beautiful. Keep us posted on your progress. Love your fabrics. Love your quilt so far. Great fabrics.